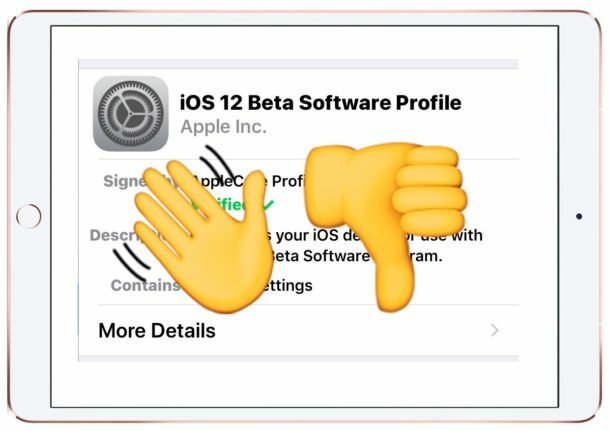 If you previously enrolled an iPhone or iPad in the iOS 12 beta testing program, either as a public beta tester or as a developer beta tester, you may now wish to leave the iOS 12 beta program so that you no longer receive future beta system software updates. This also insures that you’ll stay on iOS 12.0 final and future final stable releases rather than getting the new beta updates as they come along. 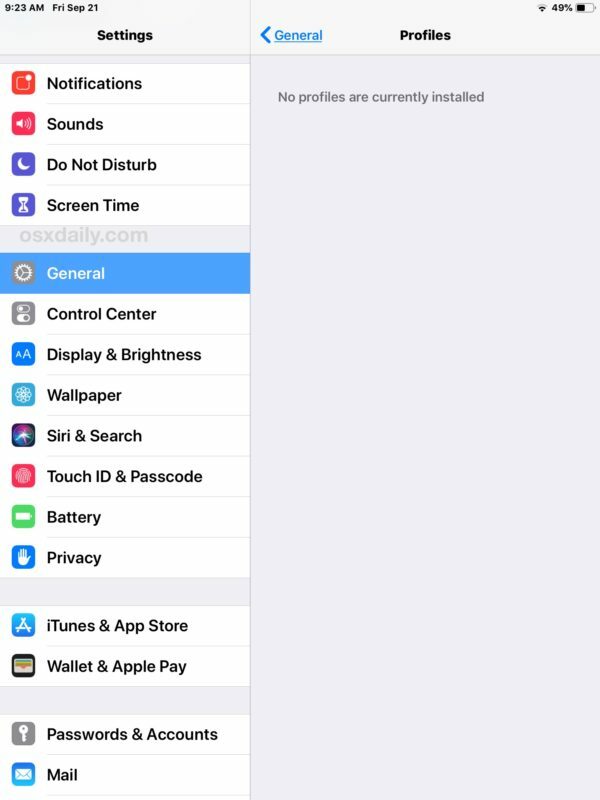 By getting off of the iOS 12 beta track, you will only receive final builds of upcoming versions of iOS along with the rest of the general public, rather than receiving any of the incremental beta software updates (like iOS 12.1 beta 1 which is being tested right now). 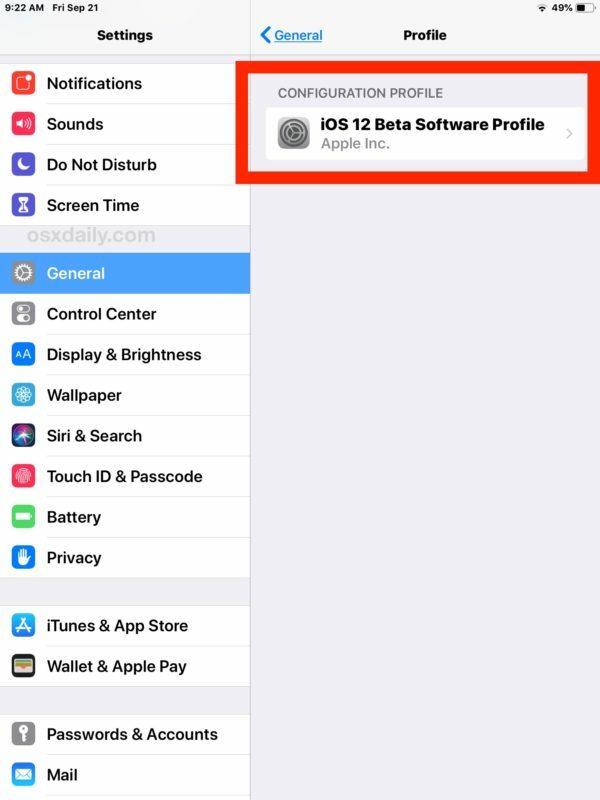 Leaving the iOS 12 beta testing program is the same for both the public beta and developer beta, accomplished by removing the beta software profile from your iPhone or iPad. That’s it, now your Software Update section of the Settings app of iOS will no longer include any beta software updates. 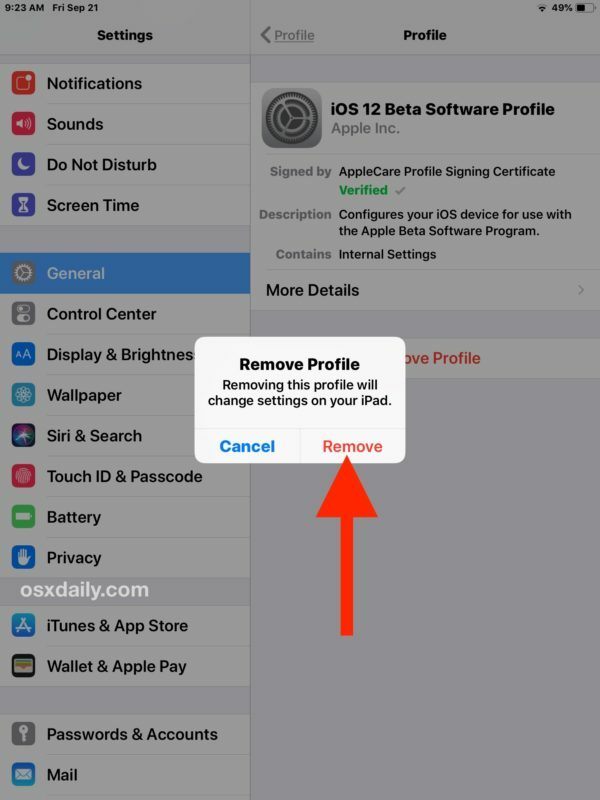 Note this removes the iOS 12 beta profile from an iPhone or iPad, but it does not remove any beta software that is already installed. If you’re currently on the final iOS 12 build (GM or otherwise) then you don’t need to do anything else. 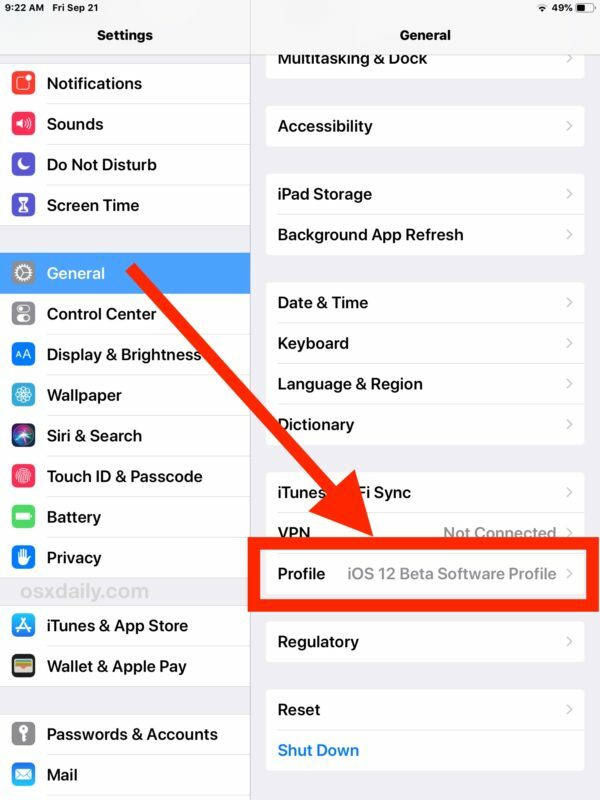 Simply removing the iOS 12 beta profile will prevent future iOS beta updates from showing up on the device and only the final builds will become available to install. However, if you’re already on a newer beta release (for example, you installed iOS 12.1 beta), then you can always downgrade from that iOS 12 beta release back to a stable build of either iOS 12 or iOS 11.4.1 (while it’s being signed), the downgrade process is the same as long it’s just the IPSW firmware files that would be different. The other option would be to simply stay on iOS 12.1 beta until the final version of that release comes out, likely in a month or so, update to that, and then remove the beta. 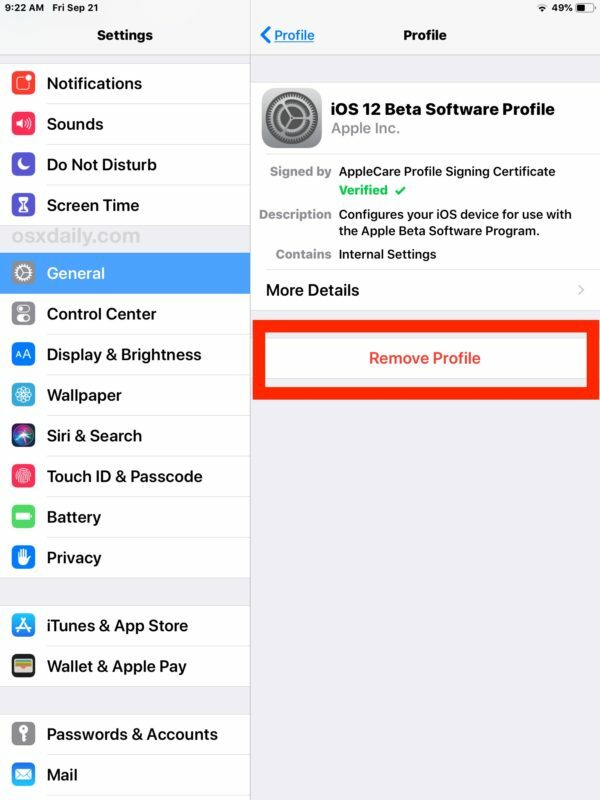 We’ve discussed the process of removing the beta profile certificate from iPhone and iPad before, but with so many users having been participating in the iOS 12 beta programs it is worth covering again. Of course this can be reversed down the road if you wish to enroll back into an iOS beta program, doing so is just a matter of installing the beta profile again onto an iPhone or iPad compatible with whatever that beta build is. That’s great — EXCEPT, while I’m definitely on the beta (running 12.1 beta 4 while production is 12.0.1) there is no “Profiles” or “Profile” or “Profiles& Device Management” under “Settings/General”. Used to be there but no longer, meaning I’m stuck on the beta. Any ideas? @David P It sounds like your device is being managed by MDM and have a restriction imposed if the profiles part of General Settings has been hidden from you. Is the device managed by your company or organisation’s IT department? I downgraded my iPhone but now iTunes won’t let me restore the backup, it says your backup is not supported by the older version of iOS. I was using iOS 12.1 Beta and downgraded to iOS 12, how can I restore my backup. I am currently enrolled with iOS 12.1.1 beta 3 program but after installation of this few key apps stop working like amazon, myntra, Cricbuzz, Olx, Pubg, etc…, I have removed Beta OS profile as guided above but nothing is happening with those apps, Any one have solution for this..?